Who will replace Winburn if he goes to the Statehouse? 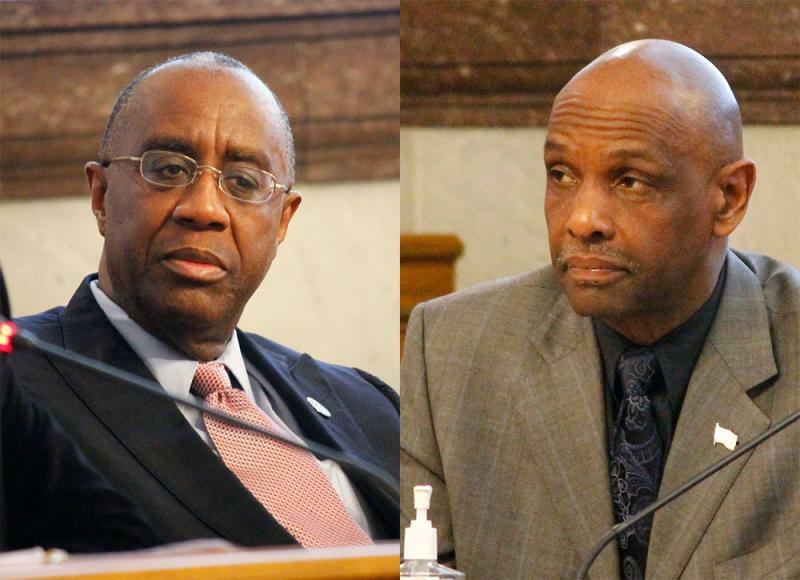 Cincinnati City Council meetings may become considerably shorter; the loquacious Winburn tends to go on a bit when there is an open microphone in front of him. Somebody – most likely an African-American Republican - will be appointed to his seat. And, next fall, there will be a special city council election to fill the rest of his unexpired term. Two years ago, Cincinnati voters approved a charter amendment changing council terms from two to four years, so, under normal circumstances, there would be no election for council until 2017. Winburn was re-elected to council in 2013, finishing second in the field race. But the charter amendment also says that if a council member leaves because of “death, removal or resignation” before June 1 of the second calendar year following the last regular municipal election, an appointment will be made, followed by a field race election in November to fill out the rest of Winburn’s term. And how, you ask, is the appointment made? Whenever a council member takes office, he or she must fill out a “successor designate certificate” naming one or more of his or her colleagues to appoint their successor should they leave office early. Council members can change the names on their certificates any time they want. Winburn’s certificate, filed in December, named his fellow Republican council member, Amy Murray and independent Christopher Smitherman. If Winburn is elected to the Ohio Senate Nov. 4, he would have to resign from council by the end of the year in order to take office in Columbus in early January. When a Republican member of city council leaves office, the local Republican Party usually ends up getting its way in naming a successor. And the word is that when the party put a place-holder candidate on the primary ballot in May to allow him time to organize a campaign and jump into the Ohio Senate race, there was an understanding that the party would choose his successor on council should the voters send him to the Statehouse. Sources tell WVXU that the local GOP would likely want an African-American to take Winburn’s seat – preferably someone who would be electable next fall. The two names most often talked about now in GOP circles are Edith Thrower, the former Cincinnati NAACP president who is now Winburn’s chief of staff at City Hall; and Sam Malone, a close friend and political ally of Winburn who served on council from 2003 to 2005. Thrower hasn’t run for council before; and Malone’s track record is not good. He lost his council seat in 2005 and tried a come-back in 2013. He ended up finishing 15th in a field of 21 candidates. At any rate, someone – a Republican and, preferably for the party, an African-American – would be appointed to Winburn’s seat. That council member would have to run and win in November to serve out the remaining two years on Winburn’s council term. On the Democratic side, there are a number of potential candidates being talked about as possibly jumping into a November field race. The list includes State Rep. Dale Mallory, who is term-limited out of the Ohio House this year. Then there is Laure Quinlivan, the former council member who came up with the four-year term charter amendment. She finished just out of the running last year; and may be interested in a comeback. Some in the party will urge Greg Landsman, the executive director of The Strive Partnership, which works to improve academic performance for inner city students, to run again. Landsman ran 12th in the 21 candidate field last year. Another potential Democratic candidate is Michelle Dillingham, the director of education for the Greater Cincinnati Coalition for the Homeless. She ran 13th in 2013. Ryan Messer, a streetcar advocate who heads the Over-the-Rhine Community Council, is another possible Democratic candidate. He is a senior division manager for Johnson & Johnson. On the Republican side, Crystal Faulkner, a CPA and financial analyst, is said to have expressed interest in running for council. Melissa Wegman, a West Side businesswoman who ran two years ago and finished in 16th place could run again. The Republicans are hoping that they could keep their candidates in the November 2015 election to a minimum and let a large field of Democrats split the Democratic vote. No matter who gets in, it is likely that the person who would win that November 2015 election would be elected with less than 50 percent of the vote. Maybe considerably less. We weren’t expecting another city council election until 2017. But we could get one next year, even if it is for only one of the nine seats on council. It’s interesting speculation, but all speculation at this point. Cecil Thomas could make it all a moot point. 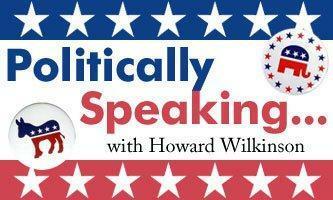 All he has to do is win the 9th Ohio Senate District race.